was a famous and revolutionary Japanese painter and lacquerer of the late Edo period and early Meiji era. In Japan, he is ironically known as both too modern, a panderer to the Westernization movement, and also an overly conservative traditionalist who did nothing to stand out from his contemporaries. 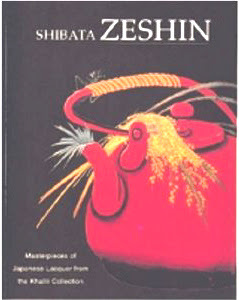 Despite holding this odd reputation in Japan, Zeshin has come to be well regarded and much studied among the art world of the West, in England and the United States in particular. Zeshin was born and raised in Edo (modern-day Tokyo). His grandfather Izumi Chobei and his father Ichigoro were shrine carpenters (miya　daiku) and skilled wood carvers. 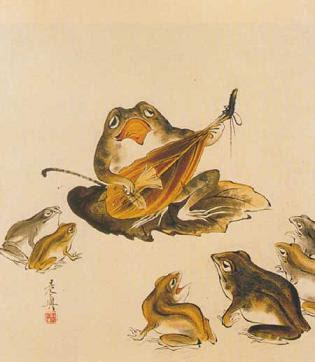 His father, who had taken his wife's family name of Shibata, was also an experienced Ukiyo-e painter, having studied under Katsukawa Shunshō. This, of course, gave him an excellent start on the road to being an artist and craftsman. At age eleven, Kametaro, as Zeshin was called in his childhood, became apprenticed to a lacquerer named Koma Kansai II. At age 13, the young man who would become Zeshin abandoned the name Kametaro and became Junzo. Koma Kansai decided that his young charge would need to learn to sketch, paint, and create original designs in order to become a great lacquerer. 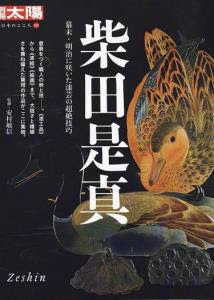 He arranged for young Shibata to study under Suzuki Nanrei, a great painter of the Shijō school. Shibata then took on yet another artist's name, abandoning Junzo and signing his works "Reisai," using the Rei from Suzuki Nanrei, and the sai from Koma Kansai. It was during his time with Nanrei that he was given the name Zeshin, which he would stick with for the rest of his life. The name has a meaning similar to "this is true" or "the Truth", a reference to an old Chinese tale of a king who held an audience with a great number of painters. While nearly all of the painters afforded the king the proper respect, bowing before him and comporting themselves appropriately, one arrived half-naked, did not bow, and sat on the floor licking his paintbrush; the king exclaimed "now, this is a true artist!" And from this the name Zeshin was taken. who studied under a man called Zeshin." Koma Kansai died in 1835, and Zeshin inherited the Koma School workshop. He took on a young man by the name of Ikeda Taishin as a pupil; Taishin would remain his pupil and close friend until his death in 1903. Zeshin married in 1849 and named his first son Reisai, but lost his mother and his wife both soon afterwards. In the 1830s and 1840s, Japan suffered an economic crisis, and artists were strictly limited, by law, in their use of silver and gold, both nearly essential for traditional styles of lacquer decoration. Zeshin compensated by using bronze to simulate the look and texture of iron, and with a variety of other substances and decorative styles to keep his work beautiful, while remaining traditional and doable. Many of his pieces could be said to embrace the concept of wabi, that is, beauty and elegance in the very simple, as exemplified by the Japanese tea ceremony. 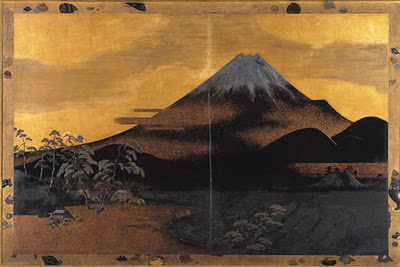 Although very few of his Edo period (pre-1868) pieces survive, it is evident in many of his later pieces that he would use, at times, a very simple and nearly colorless style of decoration, while continuing to use the traditional designs such as flowers and reeds. Beginning in 1869, Zeshin was commissioned to work for the Imperial government, and created many works of art for them which are sadly no longer extant. These included a set of gold-lacquered chairs for the Imperial Palace decorated in a sakura (cherry blossom) motif. He was later made Japan's official representative to several international expositions, including Vienna in 1875, Philadelphia the following year, and Paris. One year before his death in 1891, Zeshin was granted the immense honor of membership in the newly-created Imperial Art Committee. The honor of Imperial Commissioned Artists was only granted to 53 artists between 1890 and 1944. Khalili Collections of London, containing over 100 works by the artist. In addition to inventing the form of urushi-e, painting with lacquer, Zeshin also experimented greatly with the technical elements of using lacquer. He mixed his lacquers with a variety of substances to achieve different colors and textures, and to control the consistency and flexibility of the lacquer. He mixed certain substances with the lacquer to ensure it would not crack when his urushi-e scroll paintings were rolled up. He used bronze in his lacquer to simulate the appearance and texture of iron, and cereal starch to thicken his lacquer to simulate, at least in some respects, the effect of Western oil painting. 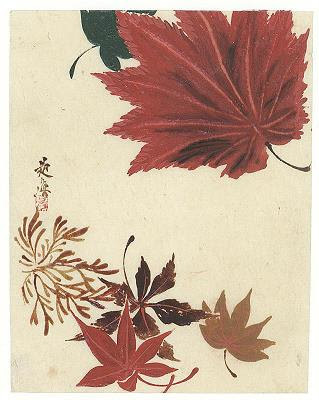 Zeshin remains, in fact, the only artist to be successful in the medium of urushi-e, as it requires specially treated paper, and a very particular consistency of lacquer to be used as paint. Zeshin also revived a complex lacquer technique called seikai-ha to produce wave forms; this technique is so difficult it had not been used for over a century. 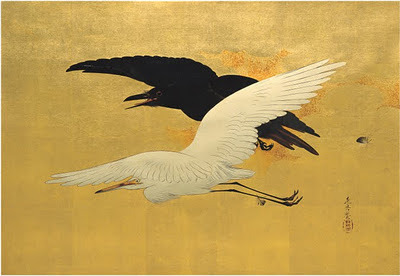 However, although he used many revolutionary elements in his work, both technically and creatively, Zeshin's works were always, on the whole, very traditional. In the brand-new medium of lacquer painting, he would paint traditional subjects like birds and flowers, insects, waterfalls and dragons. He copied a famous painting of a tiger by his teacher Maruyama Okyo, in lacquer. A red, black and gold lacquer picnic set by Zeshin serves as another good example of this revolutionary traditionalism. The picnic set is made in very traditional style, almost entirely of red and black lacquer with gold decorations of leaves and branches. However, on the serving tray is a series of butterflies and dragonflies, inlaid into the surface of the serving tray and carved out of iridescent seashell. Zeshin's signature was always quite subdued, and on occasion he would be playful with the idea of the signature. There is a decorative tsuba (sword handguard) made by him on which an ant, displayed in relief in lacquer, is carrying away the "shin" character (真) of Zeshin's signature to the other side of the piece. 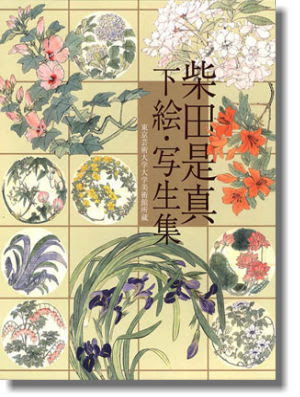 It has been said that much of Zeshin's work strongly represents the aesthetic concept of iki (粋), which might be translated as "chic". The Edo concept of iki, known as sui in Kansai, was described most authoritatively by Kuki Shūzō, but like the English ideas of chic, cool, and stylish, the precise colors, patterns, and other stylistic elements that constitute iki are nearly impossible to pin down. Nevertheless, that said, Zeshin's works are often labeled as iki, and considered to have just the right balance of tradition with the new, being beautiful but not gaudy and simple but not boring and smart but not arrogant. His style has been compared by some to haiku, in that its beauty and meaning is more powerful in what is not shown than by what is. 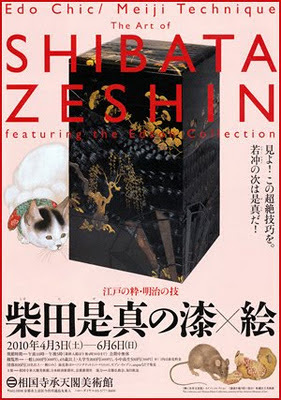 200 years since 1807 . . .
Shibata Zeshin (1807–1891) is history’s greatest lacquer artist, recognized worldwide for his exquisitely detailed lacquered boxes, panels, sword mounts, and other objects, as well as scrolls painted in both ink and lacquer. In addition to his mastery of traditional techniques, Zeshin developed a range of daring new lacquer textures and finishes imitating rusty iron, rough seas, patinated bronze, and even the delicate grain of Chinese rosewood.
. Shibata Zeshin and HAIKU .
. Urushi laquer and Daruma .